The Hills Everyday range delivers all the form, function and quality you expect from Hills, but without the full features and finesse of the Premium range. Robust, durable and functional, the Hills everyday washing line is strong, reliable and easy to use. The Hills Everyday range delivers all the form, function and quality you expect from Hills, but without the full features and finesse of the Premium range. 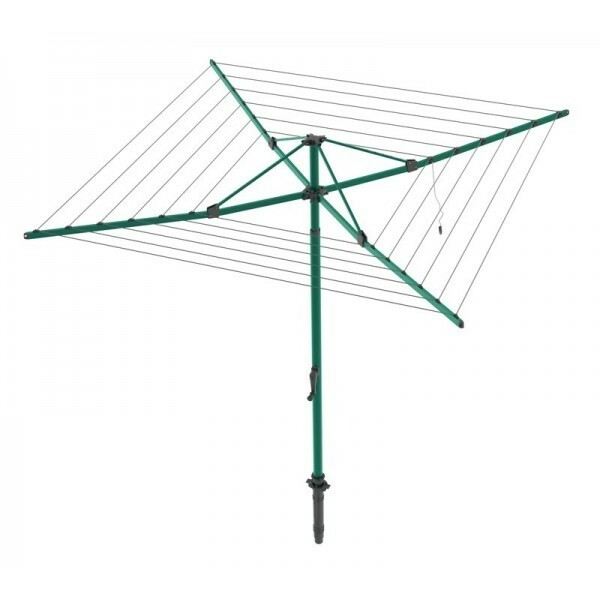 Robust, durable and functional, the Hills everyday washing line is strong, reliable and easy to use. A Rotary Washing Line will help to reduce your energy bills and line drying is kinder to the environment. Winds up effortlessly. Approximately 40 turns of the handle from the loading position to the maximum most efficient drying position.